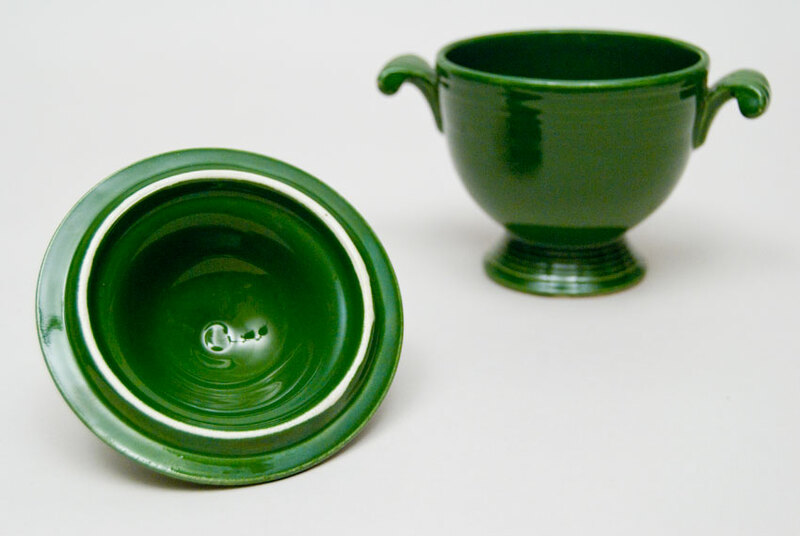 Circa 1950-1959: By the 50s Fiesta pottery sales had begun to decline. 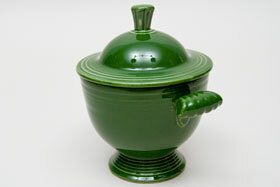 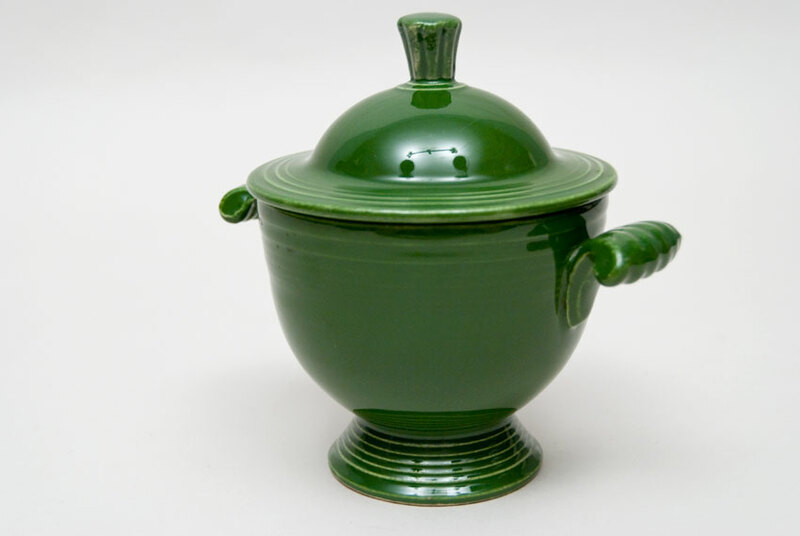 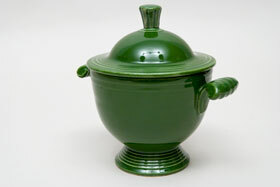 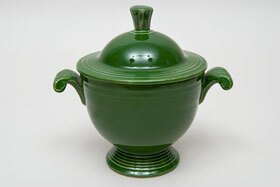 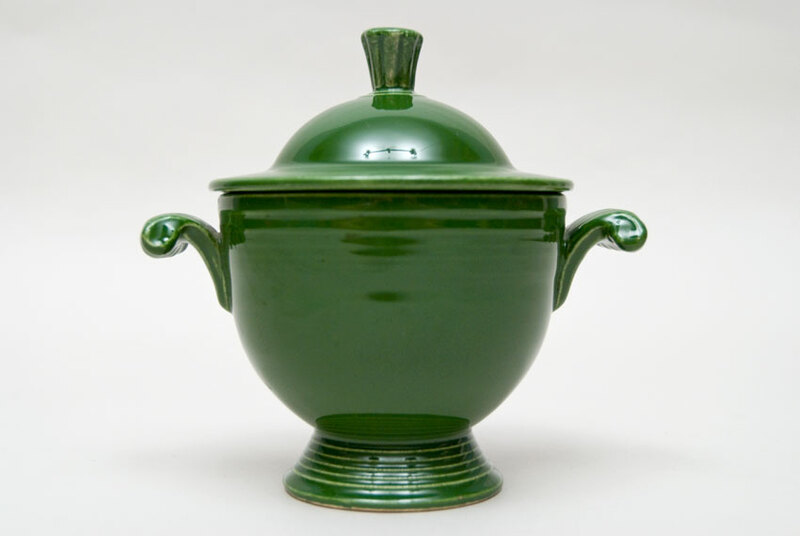 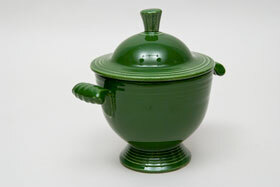 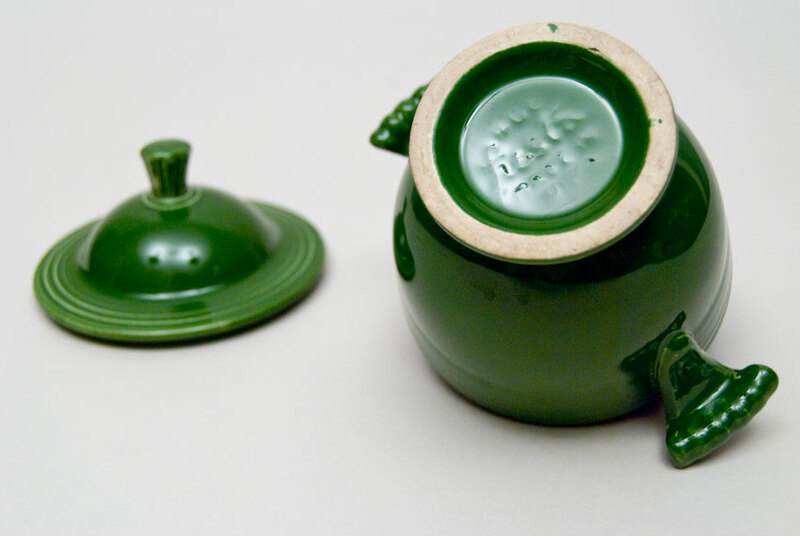 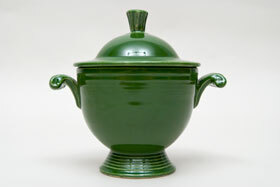 New glaze colors were released, including the still contemporary Forest Green. 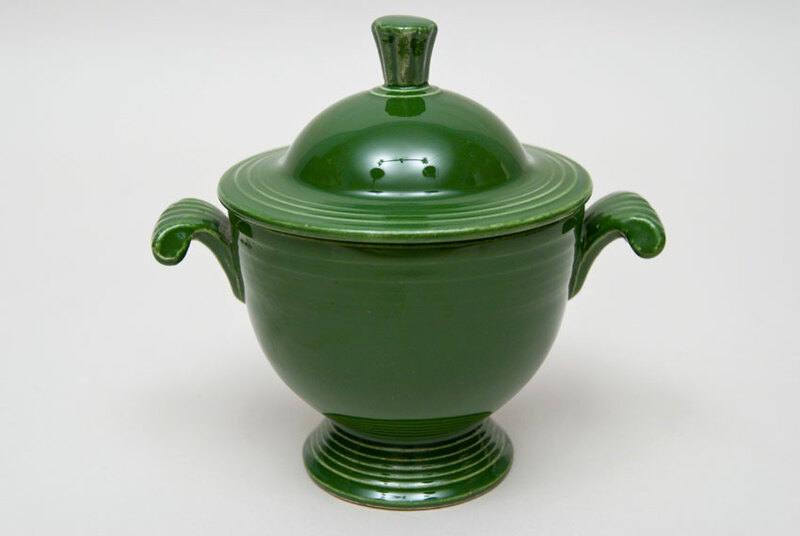 To dip the classic shapes, such as the covered sugar bowl in these new glazes breathed new life into the line. The sugar bowl with its hand applied finial and tab handles has wonderful concentric rings decorating the foot, lid flange and upper body. 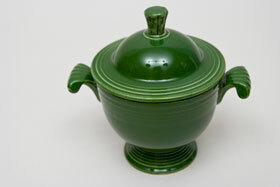 Lots of hand work with great attention to detail yet retaining a simpler art-deco design. Marked in the mold on the bottom "fiesta HLC USA". 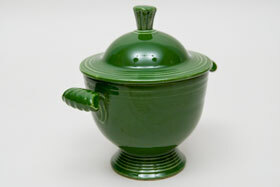 This example is in very good condition in the hard to find 50s colors of the popular forest green.